If you own more than one van, whether it's a fleet for business or fun vans for personal use, then multi-van insurance with Adrian Flux could be more convenient for you saving time and money. We know that many multi-van insurance providers are reluctant or even unable to cover family fleets or collections including non-standard vehicles. As the UK's largest specialist broker, we take particular pride in being able to help our customers find the cover they need in the way that suits them, whatever their circumstances. There is no blueprint for our multi-van policy. We understand that every customer's needs are different and we can tailor policies to suit you. Give a member of our expert team a call for free on 0330 123 1232 for your personal quote, or request a call back. Discounted price - there's no need to worry about finding an affordable policy to cover each of your vehicles individually, and the more vehicles you add, the bigger the discounts. Save time and effort - you'll only have to give us your details once, and add as many vans as you need. Flexibility - each van can have its own excess, and add-ons, meaning you get tailor-made cover for each vehicle on the policy. No hassle - you won't need to compare insurance quotes for each vehicle, as Adrian Flux can give you one affordable quote. 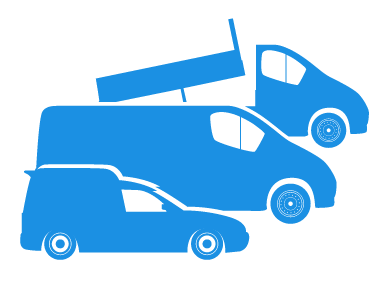 All vans and commercial vehicles are covered - if you've got it, chances are we can find a multi-vehicle insurance policy to cover it. Add-ons - you are able to include extras on your multi-van policy, such as Keycare, toolkit cover and Flux Rescue breakdown cover. EU Cover - European green card cover of up to 180 days, depending on scheme. Agreed Value - many insurers will only pay out the "market value" of your vehicle if you suffer a total loss. We could assess your vehicles and agree cover for their true value, so you won't get a nasty surprise if you need to make a claim. Like for like cover for vehicle modifications. Free legal cover - legal expenses insurance of up to £100,000 included in all policies. We think we offer the most flexible multi-van insurance quotes on the market. Our experienced team will calculate your premium individually, using their expert knowledge of the many insurance schemes on offer. 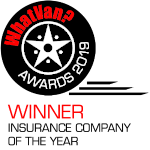 When you call us you will be speaking to a UK-based expert who will help you compare multi-van insurance options to find a policy to best suit your very personal needs. Call for free on 0330 123 1232 or complete the call me form during office hours 9am to 7pm Monday to Friday and 9am to 4pm Saturday for an immediate multi-van insurance quote.